LG to launch LG V30 on August 31 for price tag of $669. LG is all set to launch LG V30 the successor to last year launched LG V20 on August 31. As per South Korean publication, LG will launch the LG V30 on Aug 31at IFA Berlin this year to tackle Samsung Galaxy Note 8 and iPhone 8. LG will announce the device in IFA Berlin which is held from Sept 1 to Sept 6, 2017. LG will start taking pre-orders for the LG V30 and will last till one to two weeks from the date of the announcement and will be available with two to three popular South Korean carriers.The LG V30 will go on sale starting from September and will cost $669 for 64GB variant.It will also have 32GB and 128GB storage options too. 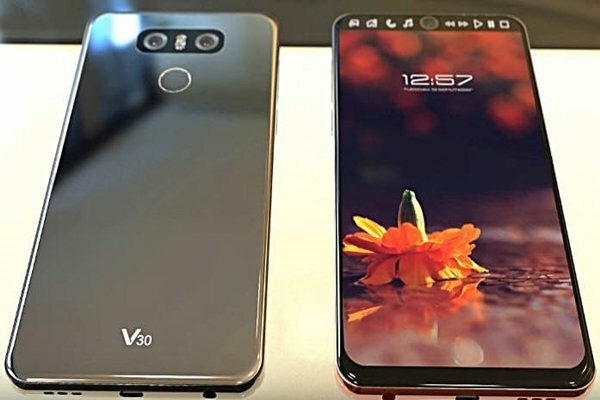 The LG V30 will now have OLED panel which will have similar bezel-less design found on LG G6.The design of V0 will look completely different from V10 and V20.But LG V30 too will have the secondary display.LG V30 will now come with 3200 mAh non-removable battery, probably to make the device waterproof and dust resistant. LG V30 will have dual camera setup t the back similar to LG G6.As per some leaks, there will be dual cameras in the front too.LG V30 will be powered by SD835 chip coupled with 6GB RAM.It will come with new ESS Quad DAC for better audio capabilities.LG V30 will retain 3.5 mm audio jack. This is the first time that LG is launching an V series phone in IFA Berlin. LG V30 will give direct competition to the Samsung Galaxy Note 8 and iPhone 8. So we have to wait for few more weeks to see the latest flagship from the house of LG. Previous articleSamsung announced 4nm node design chip production plan for future Exynos SoC. Next articleAndroid 8.0 will be called as Oatmeal Cookie.